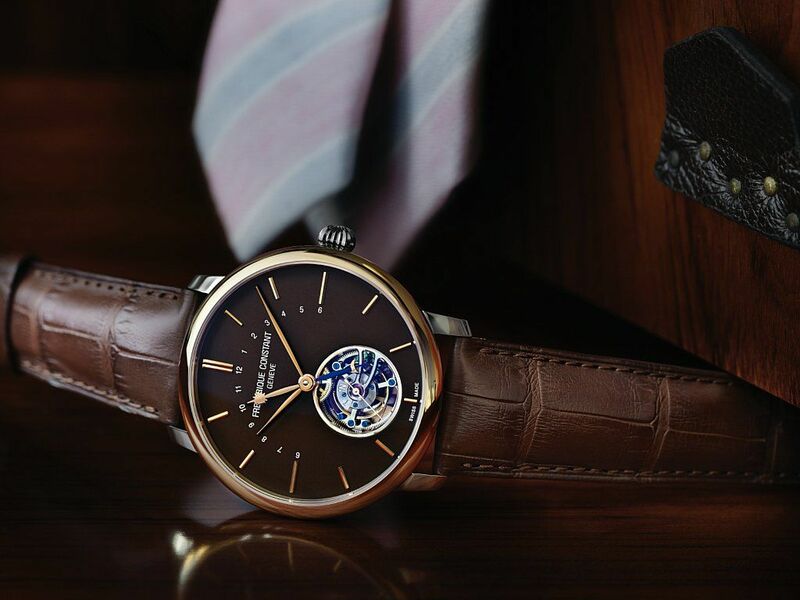 Introduced in 2012 by Frédérique Constant, the Slimline Tourbillon Manufacture range of limited edition timepieces became instant hit with their stunning appearances and technological innovations. This year, the brand is expanding this highly successful range with six new models. Each model in the range will be individually numbered and offered in a strictly limited edition of 188 pieces to ensure the exclusivity of these elegant and timeless creations. 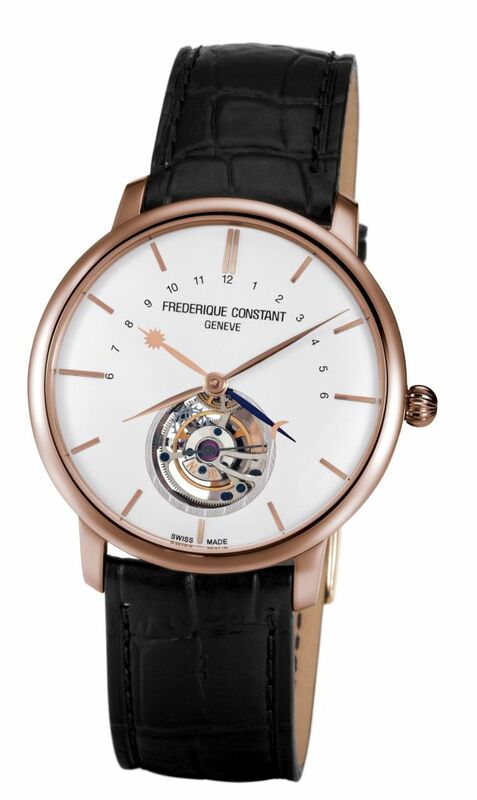 Every model in the new Slimline Tourbillon Manufacture range is driven by the FC-980 Manufacture automatic caliber developed in-house at Frédérique Constant Manufacture in Plan-les-Ouates, Geneva. The technological genius behind this movement, which in itself is made up of more than 200 individual parts, is further enhanced by the addition of a silicium escapement wheel and anchor, providing reliability and extreme accuracy possible in a mechanical watch. 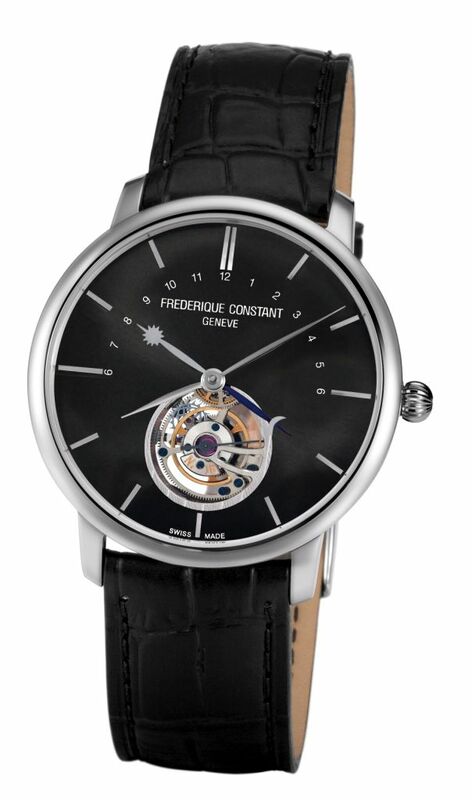 The FC-980 movement also employs the unique, patented Frédérique Constant Smart Weight Balancing System; even the cage surrounding the Tourbillon is individually numbered. 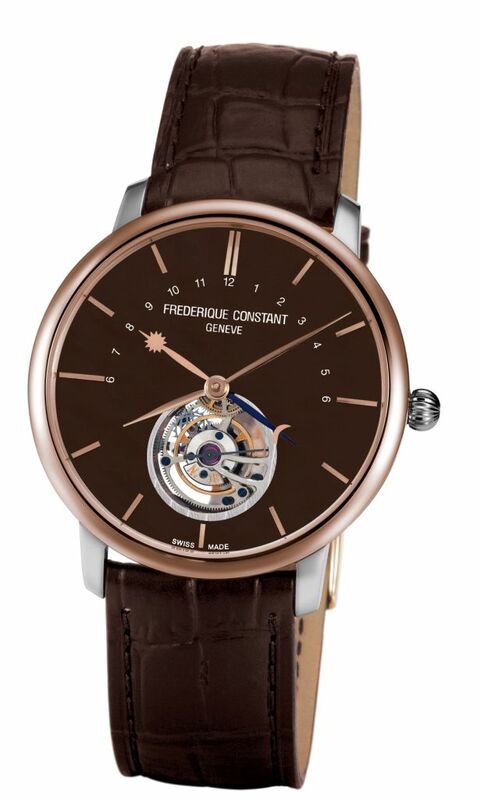 The revolutionary silicium escapement wheel and anchor has been created in-house by Frédérique Constant’s dedicated designers and engineers. Not only does silicium provide unfailingly accurate timekeeping, but it is also a substance which is not susceptible to the same wear and tear as the materials traditionally used in watch movements; nor is it affected by elements such as excessive heat and humidity. As well as the hand-polished hour and minute hands, there’s also a day and night indicator, and all models feature a 60-second tourbillon, in which the seconds hand is actually an integral part of the rotating tourbillon cage, which sits between the 6 o’clock position and the centre of the dial. 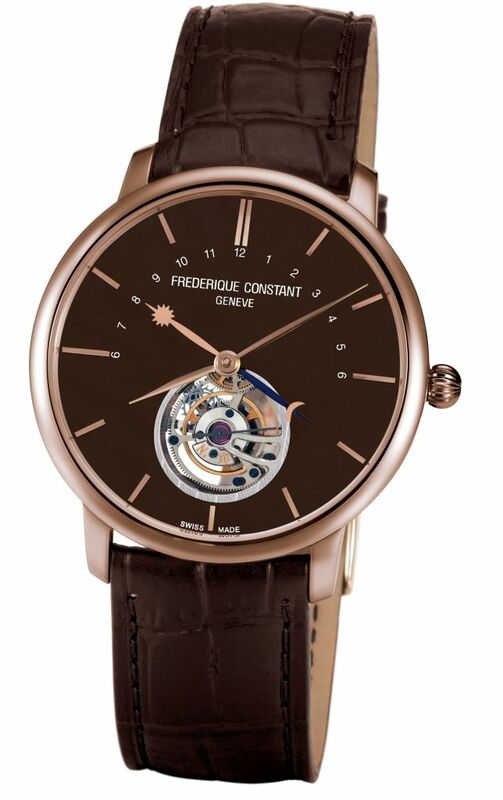 The FC- 980C4S9 is the first of the two rose gold models on offer in the new Slimline Tourbillon range. The gleaming, highly polished rose gold case contrasts magnificently with the curved, rich chocolate dial, which in turn blends seamlessly with the dark brown, alligator leather strap and folding buckle. The FC-980V4S9 combines the stunning rose gold case with a lustrous silver dial and a chic black alligator leather strap. 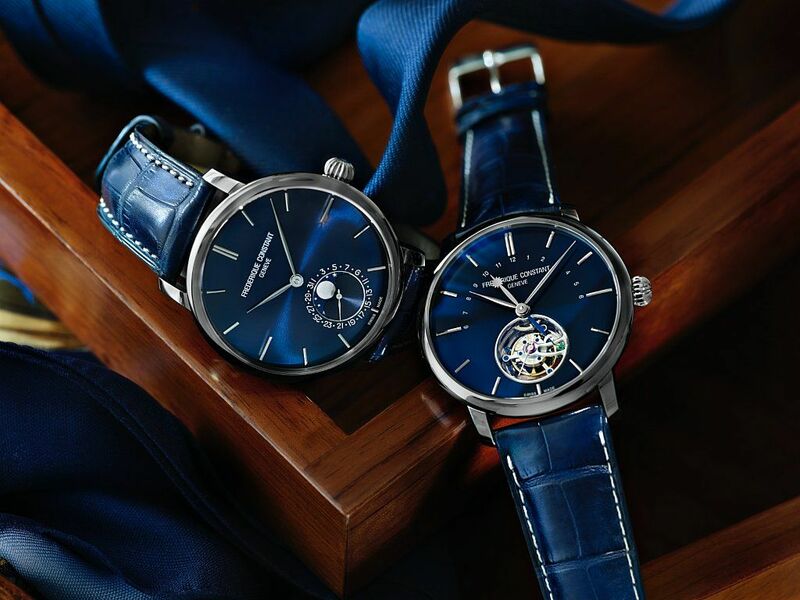 Two models are offered with brightly hand-polished stainless steel cases. The FC-980G4S6 blends the stainless steel case into a dark grey dial, offering a timeless appearance and understated elegance. A dark grey alligator leather strap completes the utterly unique package. The FC-980N4S6, on the other hand, presents a far more colourful option. The dark navy blue dial stands out wonderfully against the stainless steel case, and the blue alligator leather strap gives a truly modern look to this Slimline model. Two more models highlighted with ultra-attractive mix of materials come in a shining stainless steel case and shiny rose gold bezel. 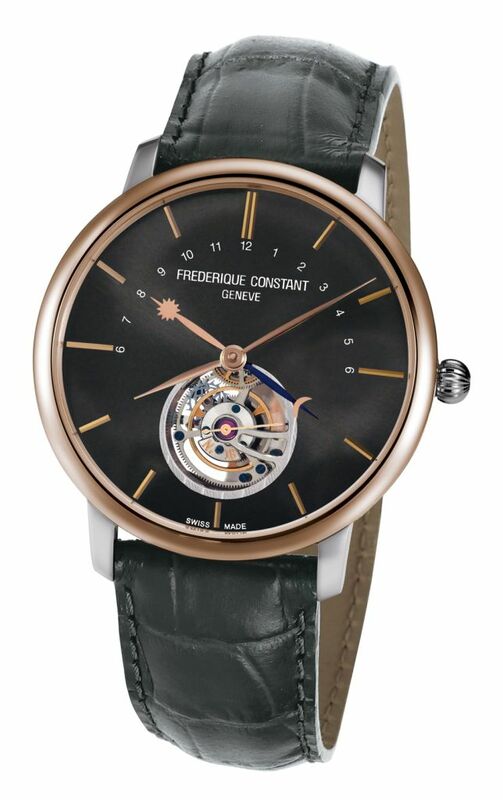 The FC-980G4SZ9 matches the unique blend of case and bezel with a striking, dark grey dial and luxurious grey alligator leather strap, while the FC-980C4SZ9 completes the new Slimline Tourbillon range with a delicious dark chocolate dial and a stun ing dark brown alligator leather strap.